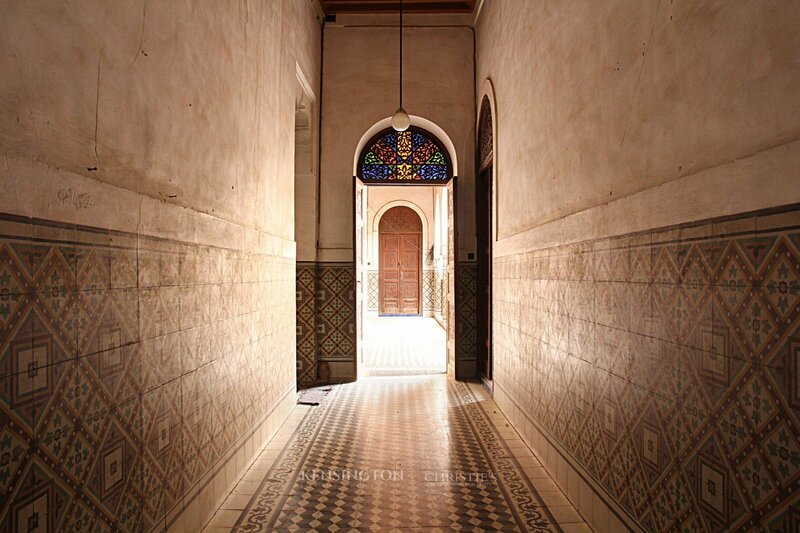 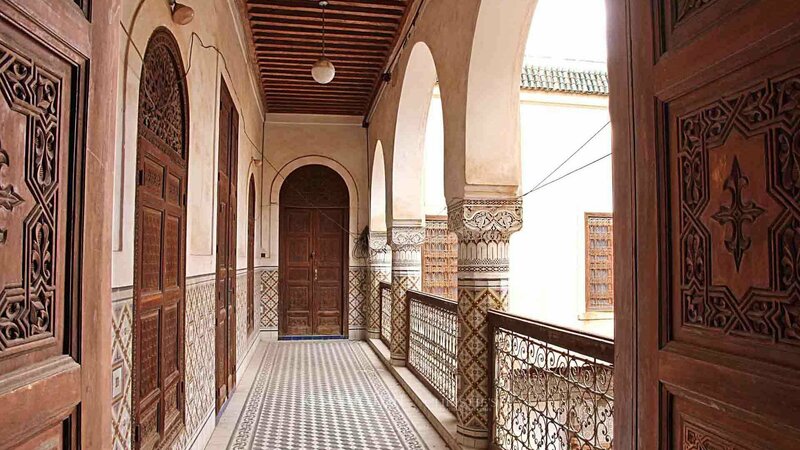 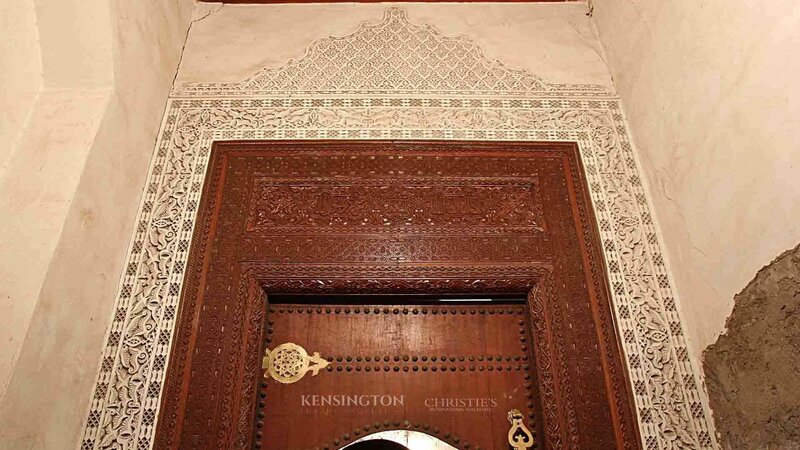 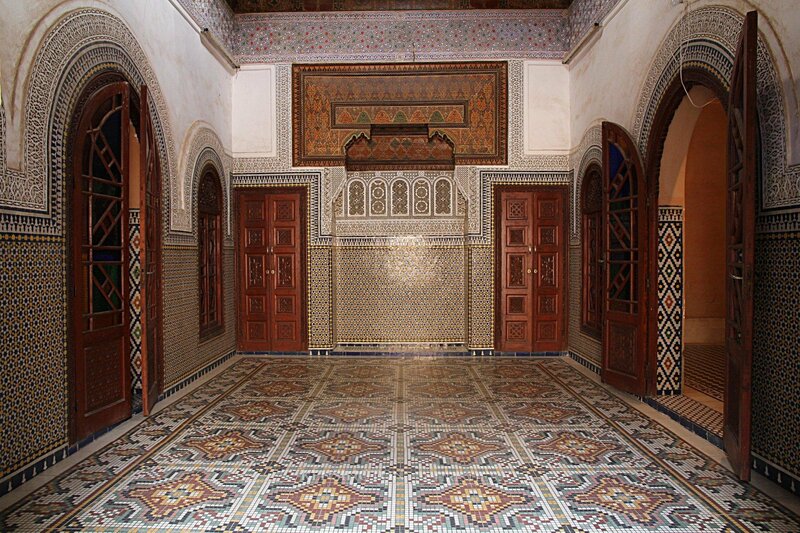 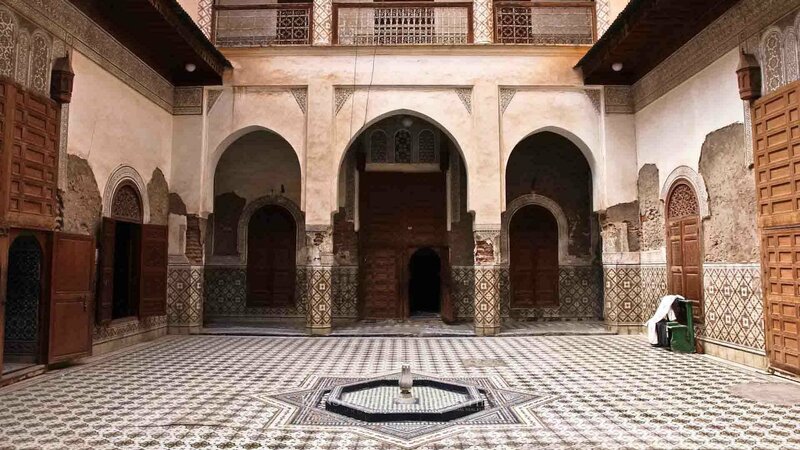 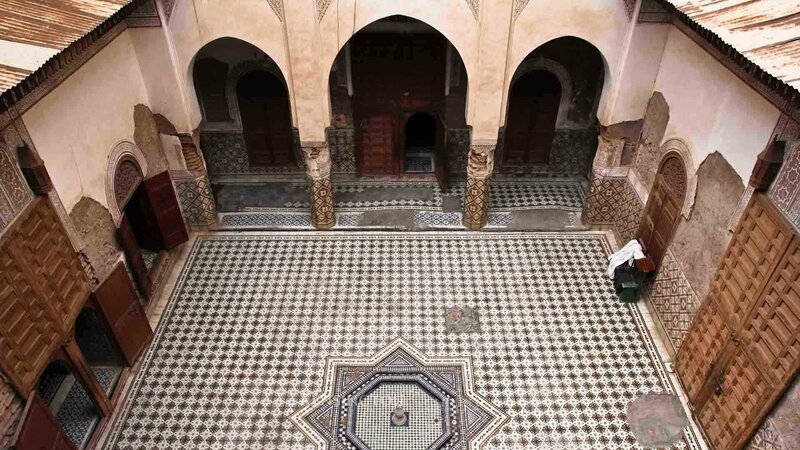 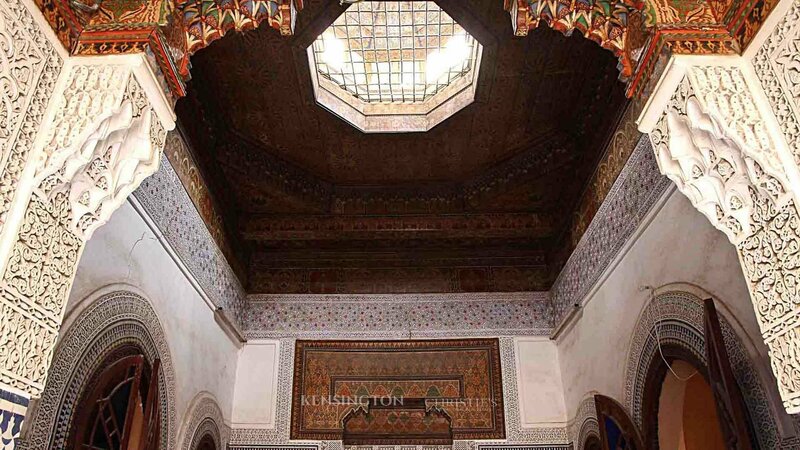 A few meters from the famous Ben Youssef mosque, Riad Saif is a wonderful opportunity for those who wish to renovate. 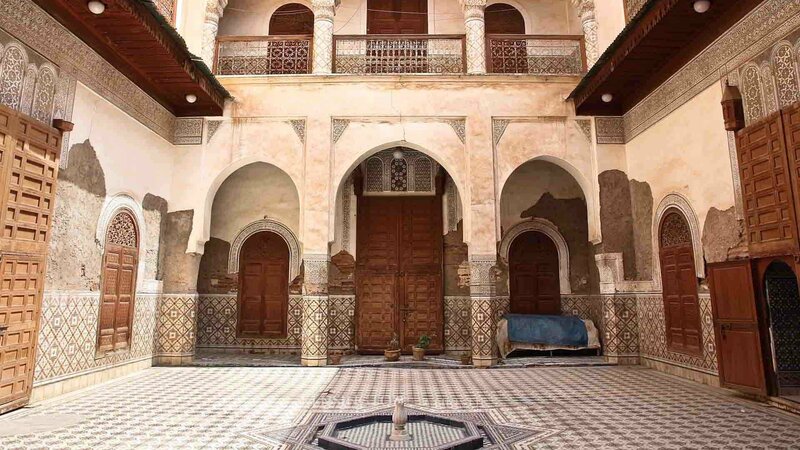 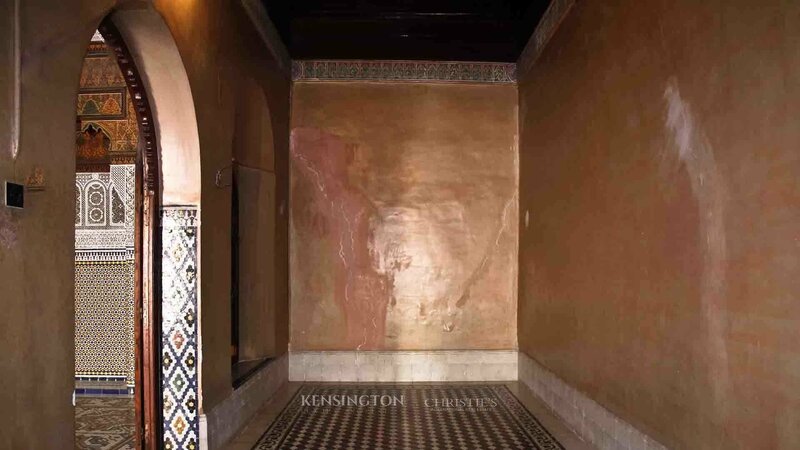 The 500 sq.m property features a riad of 7 rooms (living rooms & bedrooms) opening onto the courtyard and a "douaria" (traditional guest house) which has two independent rooms. 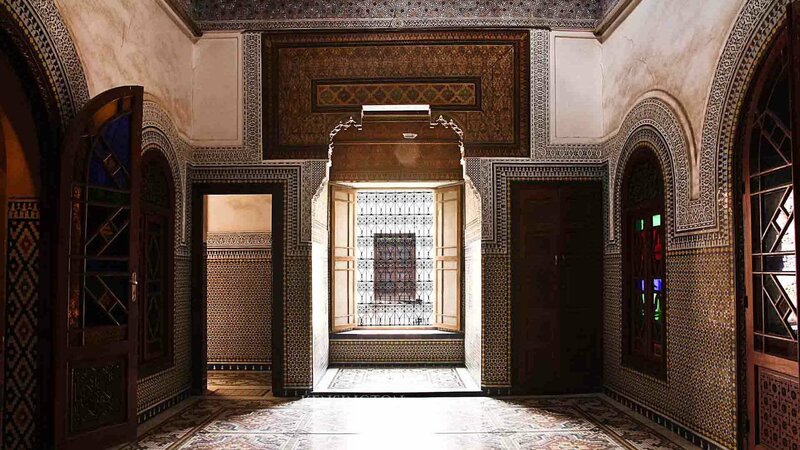 The riad was built according to the typical Moroccan art and architecture: walls decorated with zellij, sculpted plaster ceilings and large wooden doors dating back from the 1950s. 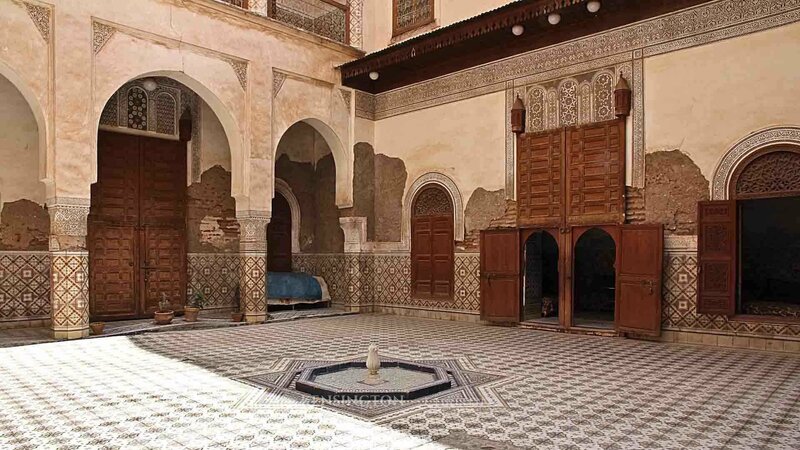 In the centre of the courtyard there is an 8-pointed star shaped fountain forming on the ground a charming geometric figure. 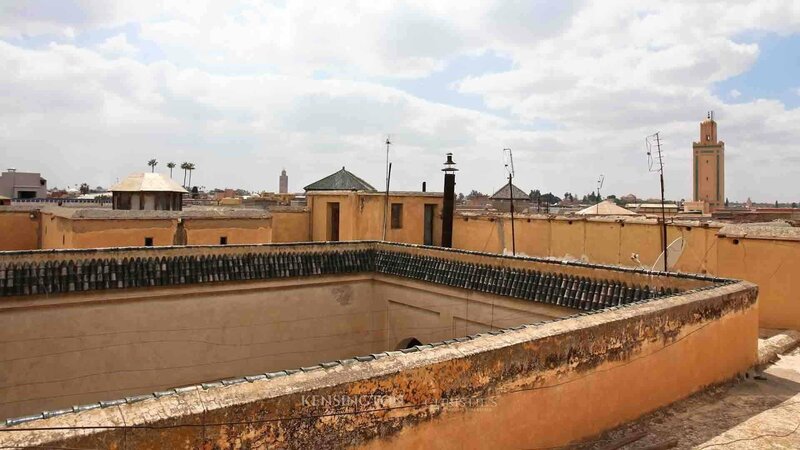 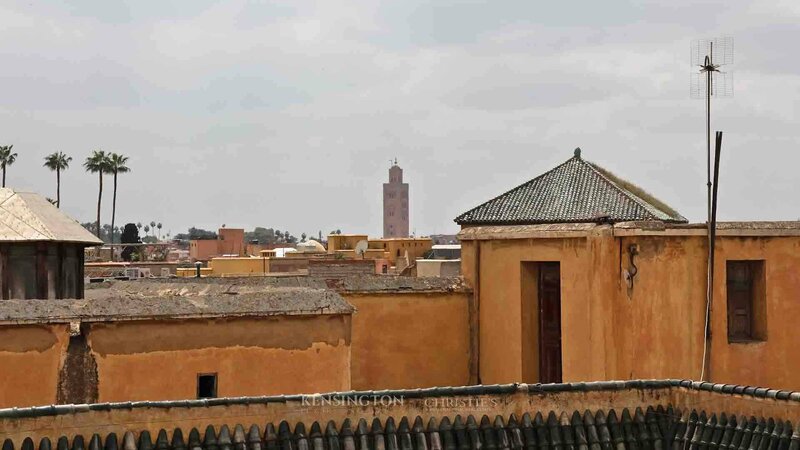 The large terrace of the property offers a 360 degree views overlooking the old medina of Marrakech.